The Southern Oregon defense limited Evergreen to 21 percent shooting in the first half as the Raiders built a 15-point halftime lead en route to a 74-50 win over the Geoducks in Cascade Collegiate Conference men’s basketball action Saturday at Bob Riehm Arena. 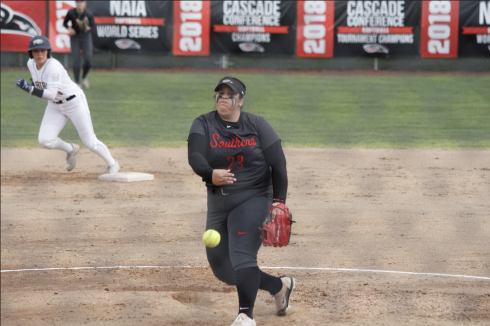 With the win, Southern Oregon improves to 16-11 overall and 9-7 in conference play. Evergreen falls to 1-25 overall and 0-17 in the CCC. The Raiderswill close out the regular season on the road next weekend against Corban and Northwest Christian. Southern Oregon honored the four seniors on its squad prior to the game, Joe White, Jordan Highland, Sam Osofsky and Scott Tiefenthaler. All four started in the game, and Highland finished with a game-high 12 points in the win. Terriel Thomas added 10 points on 5-of-6 shooting and 12 different Raiders scored points in the contest. Patrick Lewis scored 21 points to lead both teams, and he added 10 rebounds to tie Elzie Dickens for the team-lead. Mike DeRosier added 11 points in the loss. Patrick Lewis made the first basket to give Evergreen an early 2-0 lead, but the Raiders scored the next seven points and led the rest of the way. The Geoducks pulled back to within four on a Lewis layup nine minutes in before a 15-3 SOU run put the Raiders up 26-10 with three minutes to play in the first half. Highland made back-to-back baskets to open the second half as the Raiders used a 24-6 run to go ahead by more than 30 points midway through the period. 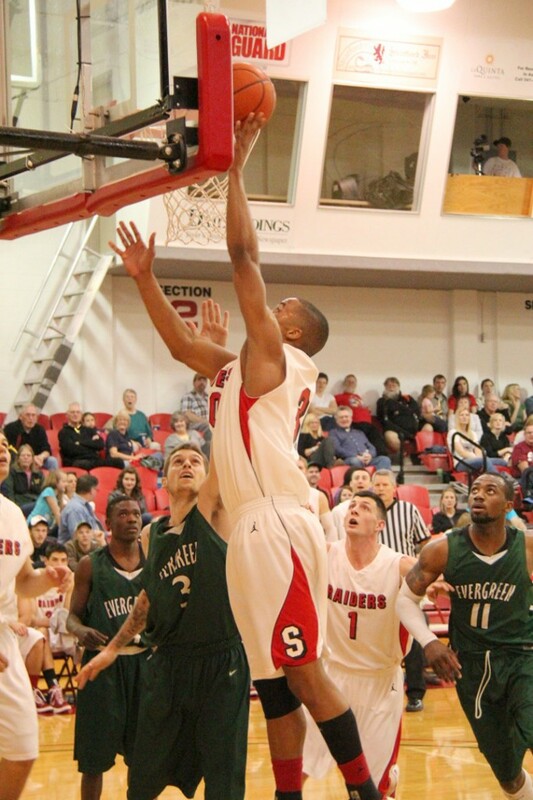 From that point SOU coasted to the 24-point victory. 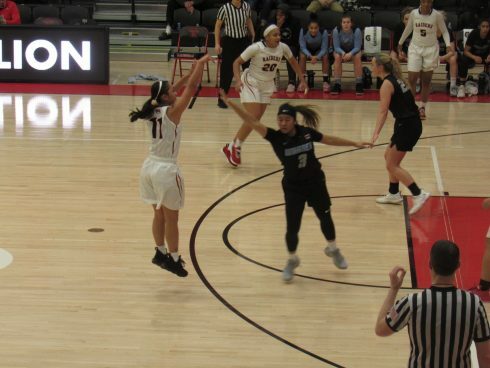 Southern Oregon shot 44.8 percent (30-of-67) from the field in the game while limiting Evergreen to 33.9 percent shooting (20-of-59). The Raiders also out-rebounded the Geoducks 45-35 and finished with 17 assists to Evergreen’s four.